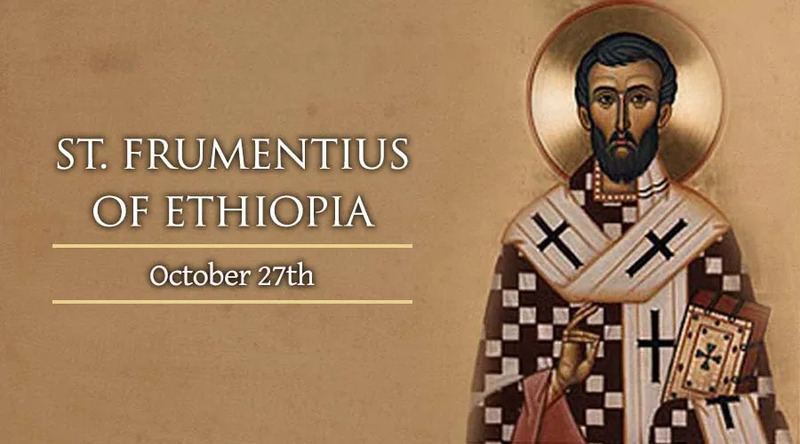 St. Frumentius helped in a great capacity to bring Christianity to Ethiopia. He was born in Lebanon, and was shipwrecked in East Africa while voyaging on the Red Sea. Only he and his brother, Aedeius, survived. They were taken to the king at Axum, Ethiopia, and became members of the court. When the king died, the two brothers stayed on as part of the queen's court. She permitted them to introduce Christianity to the country, as well as opening up trade between Ethiopia and the west. Frumentius convinced St. Athanasius to send missionaries from Alexandria, and he was later consecrated as the bishop of Ethiopia. He converted many people to Christianity before his death in 380. He is the patron of Ethiopia. His brother, Aedeius, was also canonized.